Item # 309806 Stash Points: 2,495 (?) This is the number of points you get in The Zumiez Stash for purchasing this item. Stash points are redeemable for exclusive rewards only available to Zumiez Stash members. To redeem your points check out the rewards catalog on thestash.zumiez.com. 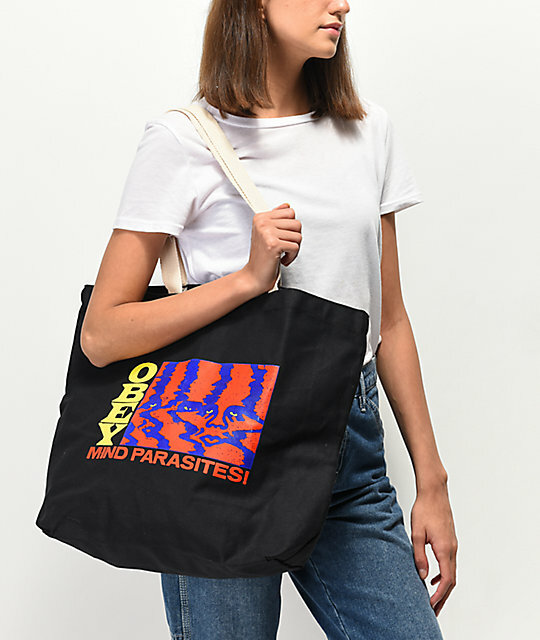 Keep your daily carry-arounds holstered in signature fashion with the Obey Mind Parasites Black Tote Bag. This all black tote features red and blue Obey logo detail throughout for a striking look from a truly iconic brand. 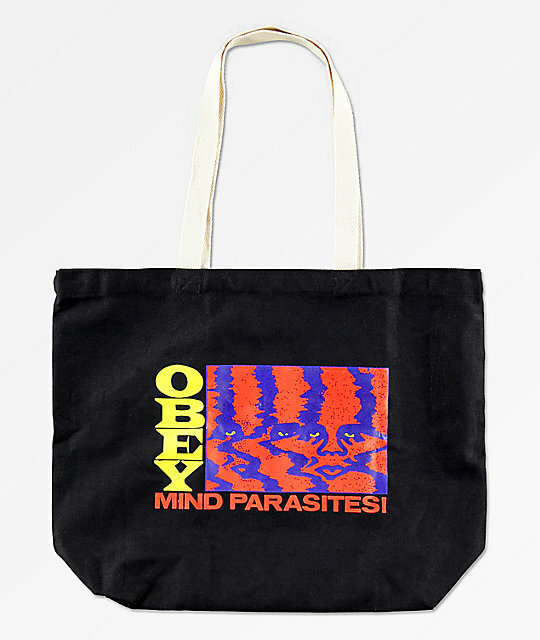 Mind Parasites Black Tote Bag from Obey. Screen printed Obey logo graphics throughout. 16" H x 15" W. | 40cm x 38cm.